Screen shot with GPX tracks from OpenCPN plotted on Google earth. 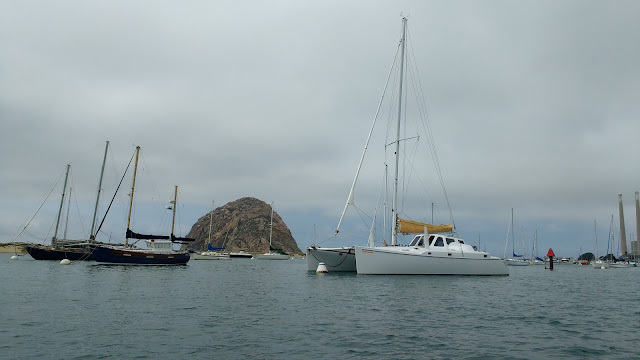 Cojo anchorage was pleasant as usual, despite gusty strong winds I slept without a worry. Anchor down I got to work drilling holes in the deck for the spinnaker hardware. Worked til dark and then warmed up some clam chowder for dinner with toasted sourdough bread on the side. Boat kitty Shell was happy to have the anchor down and was running wild, sprinting around the cabin, then racing up the cabin top and leaping in to the sail. 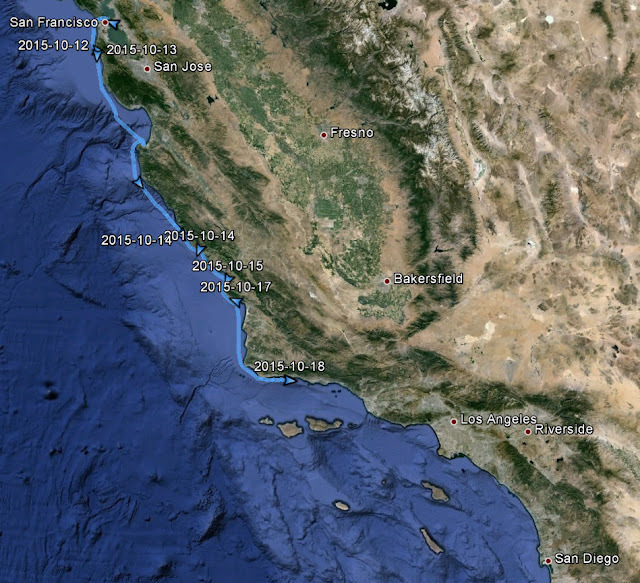 Today I'm heading to Santa Barbara to fuel up, then hopefully to Channel Islands Harbor for the night. Monday I hope to be in Marina Del Rey. Lightspeed with new USCG compliant boat name on bow. 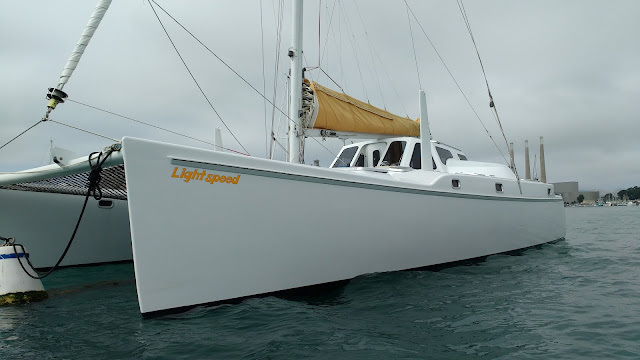 We're hoping to do some charters and sail coaching aboard LightSpeed, so lots of i's to dot and t's to cross to get 100% onboard with USCG regulations. 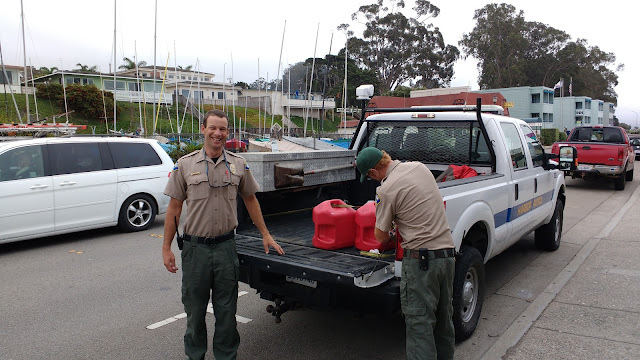 Ever helpful Harbor Patrol took me on a fuel run. I didn't even ask, they offered. Thanks guys!